Venice is a city rich in history and full of curiosities, big and small, just waiting to be discovered. 1/ Why is St Mark’s lion the symbol of the city? The symbolism of the lion of St Mark’s derived from an ancient Venetian tradition, which states that an angel in the form of a winged lion appeared to St Mark, who was shipwrecked in the lagoon, and said: “Pax tibi Marce, evangelista meus. Hic requiescet corpus tuum.”(May Peace be with you, Mark, my evangelist. Here your body will rest. ), announcing that one day this is where his body would rest and be venerated. 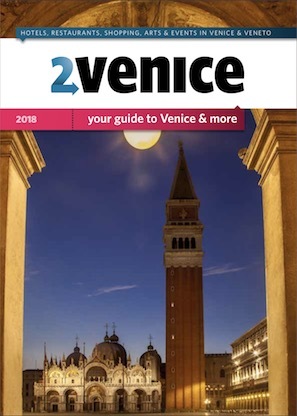 2/ How many bridges are there in Venice? Including the latest bridge – the one designed by Spanish architect, Santiago Calatrava, in 2008 (Ponte della Costituzione, the fourth bridge over the Grand Canal) – Venice now counts a total of 417 bridges, 72 of which are private. 300 where built in stone, 60 in iron and 57 in wood. Up until the 16th century it was permitted to cross the bridge on horseback, which is why they had no steps. 3/ How do they control the water traffic? Just like on the mainland, the water traffic in Venice also has to respect the rules and traffic signs. One-way and no entry signs are visible along the canals, however there is only one canal with a traffic light, Rio Nuovo – even if it hasn’t been used for a while. Other regulations include: motorboats must keep to the right, except along the Rio Nuovo canal where they must keep to the left. Rowing boats must keep to the left. This is because the stern oar is positioned on the right and must be free to move. 4/ What are the most common names and surnames in Venice? The most common surname in Venice is without doubt Vianello, followed by Scarpa. On Burano island it’s Dei Rossi and on Murano island, Toso. In Chioggia-Sottomarina Boscolo and Tiozzo definitely come tops. Typical Venetian names include Marco, Alvise, Niccolò and Jacopo. As for nicknames: Bepi (Giuseppe), Toni (Antonio) and Nane (Giovanni). 5/ Who was the first woman in the world to get a degree? The Venetian Elena Lucrezia Cornaro Piscopia was the first woman in the world to earn a doctorate degree on June 25th, 1678 when she was 32 years old. This achievement is commemorated by a memorial stone at Palazzo Loredan, a municipal building in Venice. 6/ Why do they call money “schei”? The term “schei” derives from the money exchanged during the Habsburg dominion, called the “Scheidenmunze”. At the time it was abbreviated to “schei”. In Venetian dialect the term “franchi” is also used, which dates back to the Napoleonic era. 7/ How do you make the perfect spritz? In Venice, and now throughout Italy, the aperitif par excellence is called a Spritz. The recipe is simple, 1/3 white wine, 1/3 sparkling water (or soda water) and 1/3 Aperol (or Campari if you prefer it bitter). The drink can be served with an olive or lemon, as you prefer. The name originates from the Austrian dominion of the city, from the German verb “spritzen” which means, “to spray”. A spritz was invented due to the high alcohol content of the regional wine, which was watered down with sparkling water. Don’t leave the city without trying one for yourself. 8/ What are the bells of St Mark’s called? There are five bells in the bell tower of St Mark’s, each had a very specific function. The “Maleficio” had the task of announcing the capital sentences that were handed down. It was up to the biggest bell, the “Marangona”, however to indicate the work start and finish times of the “marangoni” (carpenters) at the Arsenale. When the bell tower collapsed in 1902 this was the only bell that wasn’t destroyed. Then there’s the “mezzana”, which only tolled at midday, while the “Pregadi” announced the meeting times of the senator at Palazzo Ducale. The “Trottera” invited nobles in their carriages to attend meetings at Palazzo Ducale. 9/ When did the first vaporetto come into use? In 1881 when the “Regina Margherita”, the first vaporetto in the history of Venice began regular service to mark the occasion of the “Congresso di Geografia”. It owes its name to its vapour traction system. The vaporetto, which hasn’t changed much over the years, has become one of the symbols of Venice. Today it is one of the main means of transport between the Venetian Islands. 10/ What are “bricole” and “paline”? They have been used since 1439 to indicate the limits between the waterway and shallows. They’re the wooden posts (made from black locust wood) you see in the water that are dug into the bottom of the lagoon. There are single posts (called “palina”) or groups of three or more posts (“bricole”). These posts can also be found along city canals and provide a point to moor to. 11/ And, lastly…just how narrow is the narrowest “calle” in Venice? The narrowest street (calle) in Venice is located in the area around Campo San Canciano: Calletta Varisco: it measures a mere 53 centimetres wide.